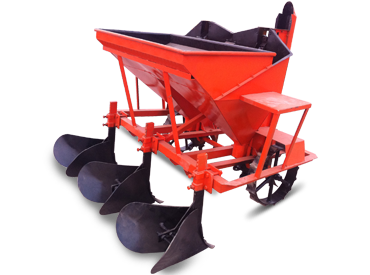 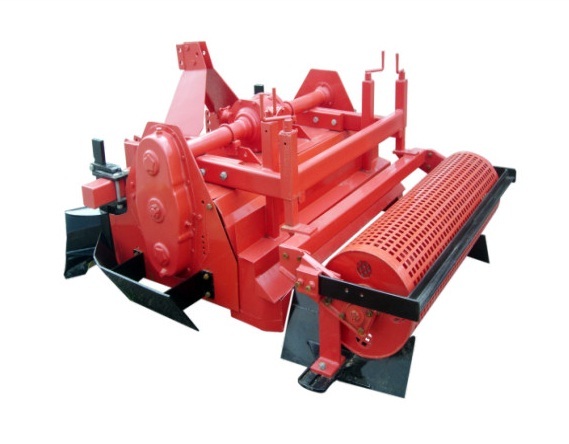 Forms furrows, cuts seed sets of desired length and places the sets in furrows. 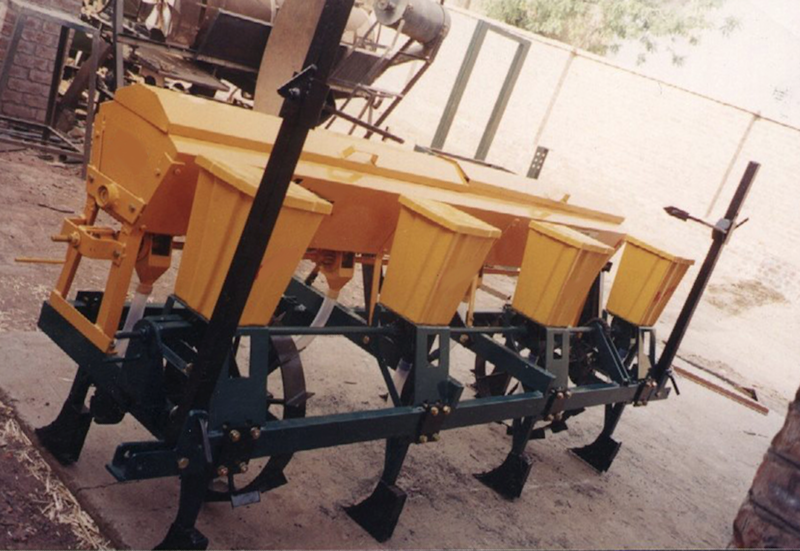 Fertilization application and covers the placed sets with soil simultaneously. 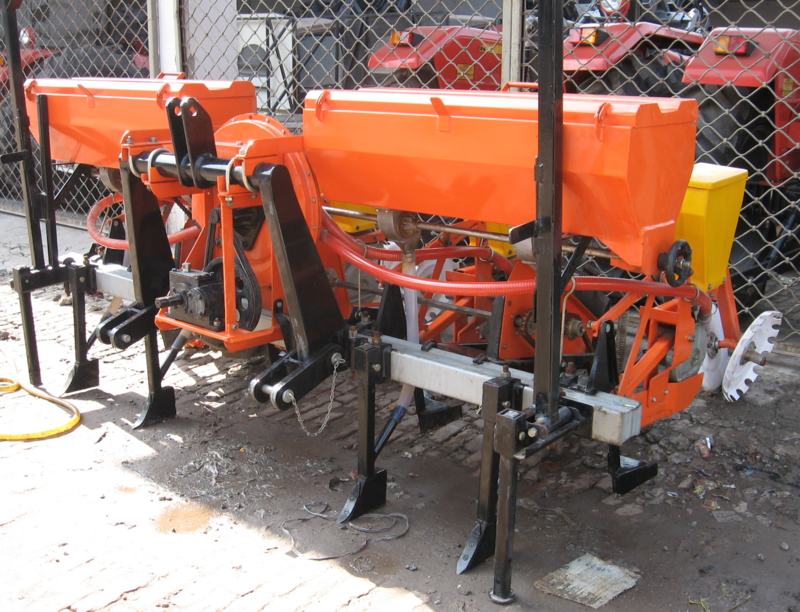 3 Row – Semi-automatic, tractor mounted, PTO driven. 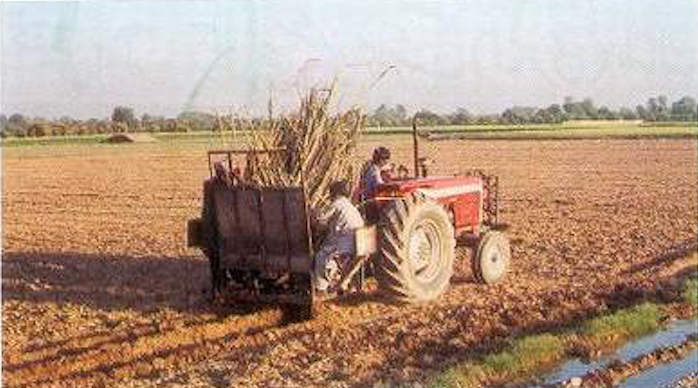 Full length striped cane is fed by three labourers sitting on the machine.